There are some people who love budgeting, and then, there are those of us who totally don’t. If you find that budgeting is a struggle and you’re not excited about tracking your expenses, you might be wondering how you could learn to love your budget. We’ve got some tips for you! Asking some hard questions before you begin your budget will help you create a plan that feels right. What is keeping you from budgeting or what’s kept you from succeeding in the past? What were your major stumbling blocks before? Did you get busy and get lazy with meal planning? Were you setting unrealistic expectations that left you feeling deflated after every misstep? Take the time to figure out what’s been tripping you up with budgeting in the past. Instead of thinking you’ll just tough it out and get it right this time, set yourself up for success by setting plan that allows for wiggle room around your weak spots as you build confidence. If you’re new to budgeting, get familiar with the basics of budgeting to help get you started. Set yourself up for success by experimenting with tracking you can stick to. There are several ways you can track your budget, including online budgeting tools. Some people swear by low maintenance apps like Mint. Others prefer going “old school” by tracking their budget with pen and paper, which allows them to be more engaged with their spending. You may need to cycle through a few months of budget tracking to find the method that work for you. When was the last time you checked to ensure your insurance policies were still a good fit for your needs? Have you checked your credit score lately? At work, have you taken advantages of any job benefits to help you save money? Other than housing, food is another big expense. Are you going to the grocery store with a plan to ensure you’re stretching your budget at the grocery store? Little tricks and budget hacks can add up quickly, but chances are with our busy lives, we don’t go over our spending as closely as we could to analyze for savings. There’s a reason you’re budgeting right? 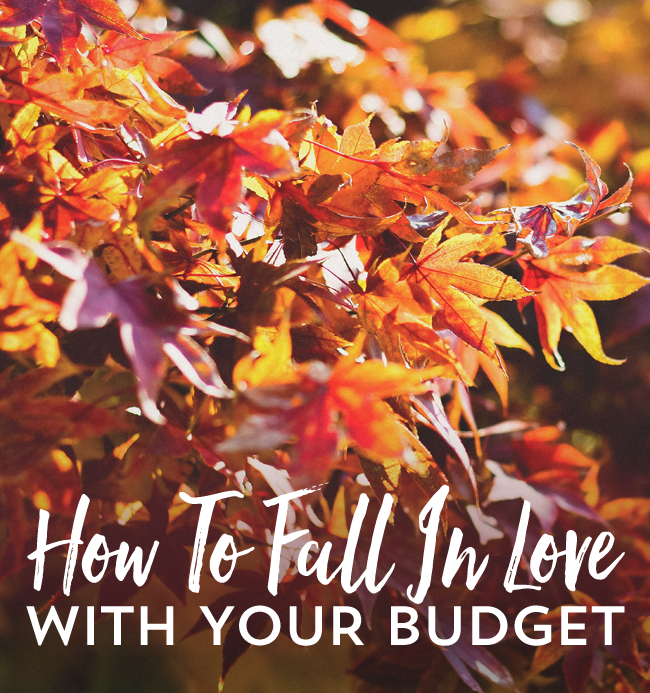 When the nuts and bolts and day to day process of living on a budget gets you down, the vision is SO critical to making your budget lovable again. Your “why” is so important, surround yourself with reminders. It’s important to meditate and visualize your goals as vividly as possible. Creating a vision board, and enlisting your family in the long term plan will mean you will have extra tools in your tool belt as time passes. If you’re saving for your first home, imagine getting your keys for the first time and the holidays you’ll spend there. Visualizing your goal will make the daily grind a little bit lovelier. Yes, as much as you’d like to be strict with your budget, it’s a marathon, not a sprint, you need to take some recovery time to recharge! Bake in wiggle room for perks if you are on target each month with your budget. Guilty pleasures can lead to heavenly budget success, especially if your budget is especially strict. Even if your reward is as small as a new bottle of nail polish every month, it’s important to boost your morale. We aren’t machines, we have to have fun along the way to keep a budget alive. If you treat your budget like a strict diet, you’re bound to rebound even harder- you need a cheat day or two to stay sane! It’s easy to feel overwhelmed when you’re just trying to get by month to month and you’re not sure you’ll make it towards a goal that seems so far away. Budgeting can be really deflating when you’re setting it simply to get out from under a mountain of debt or you know your income will be limited for a good while. While it may seem like a long time until you can live without a budget, remember it’s not forever. By making a plan now and sticking to a budget, you’re ensuring greater financial freedom later. A year from now you will be so grateful you started today! For years I did a written budget that I bought on Amazon. Recently though I’ve used EveryDollar. Which is really good! However, after reading “Your Money or Your Life” I’ve become really, really aware of every single dollar and that book alone has helped me control our money. i wish my budget was more loveable! Thank you for the reminder, budgeting doesn’t have to be forever, but it can be helpful. Times are tight, but it’ll get better. What budgeting apps do you personally use? I’ve tried a few and fall off the wagon all the time. Would love to hear what you’ve used! I’ve used Mint and LOVED it for tracking all of my credit card purchases. It can be cumbersome at times, but once it gets patterns established, it is so helpful. I’ve tried paper methods as well though when I’ve used cash only, but now that I’m using credit cards to build up my credit score and get miles, I’m loving Mint! Also PERSONAL CAPITAL is free and amazing!!! I’ve been living on a budget for a few months, and while it can be hard it’s totally worth it. 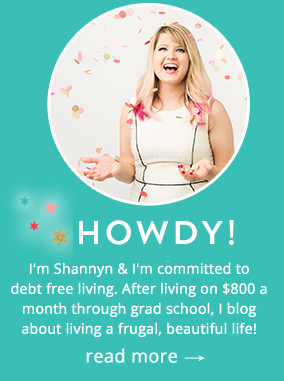 Getting out of debt is a struggle but you’re glad when it’s over!